Drown your sorrows over your commute. Looking for something to grumble about other than the heat wave? There's always that classic, never-ending source of whining: Metro. And with the "heat kink" slowing trains, today's sort of like a two-fer. 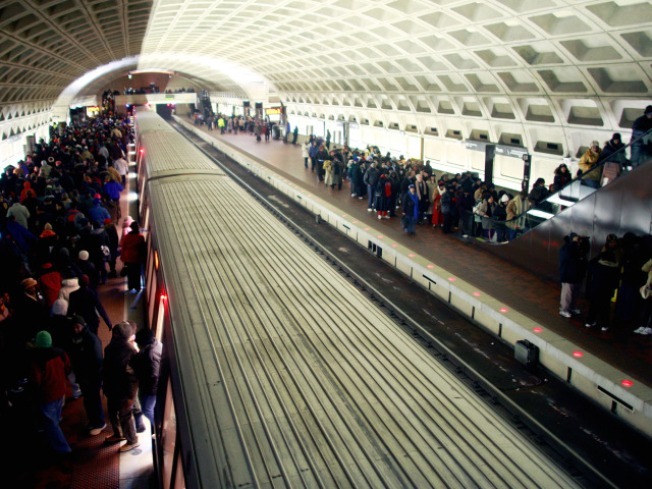 Sure, you're not supposed to slurp booze on Metro. But plenty of people do things there that they're not supposed to be doing: pole-dancing, punching each other... We could go on. We won't. Then again, you could always save up your "points" until you're comfortably enscounced in an air-conditioned bar. [Take] one drink for tourists who stand on the left of the escalator; two drinks for escalator disruptions; and finish your drink if the escalator stops while you're on it. [Take] one drink if bus driver gets into argument with a passenger; two if he assaults a passenger; and finish your drink if passengers assault each other. If you're drinking based on your morning commute, it's possible you're feeling a little tipsy already.